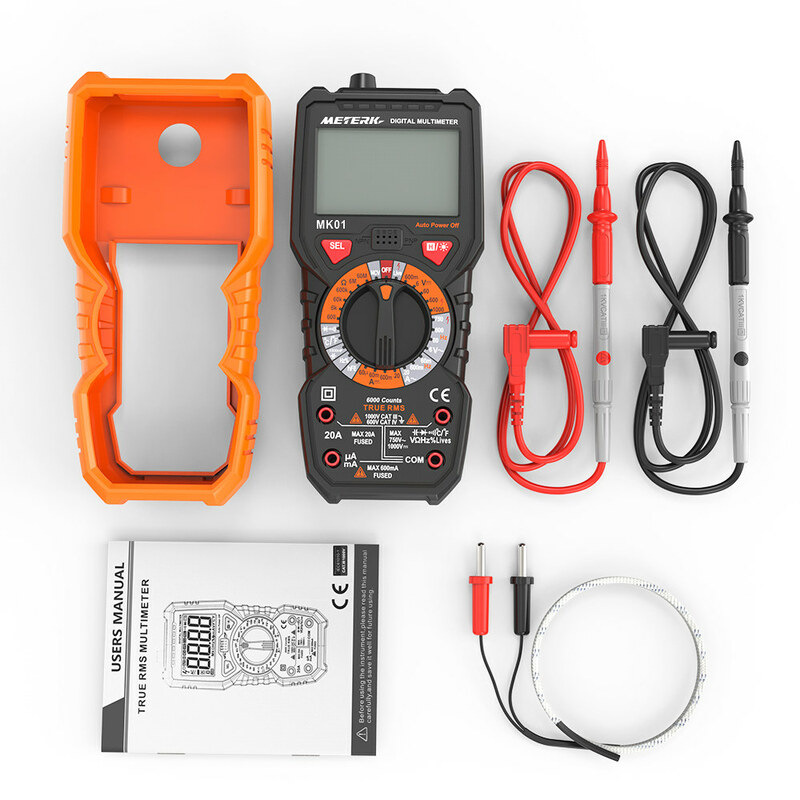 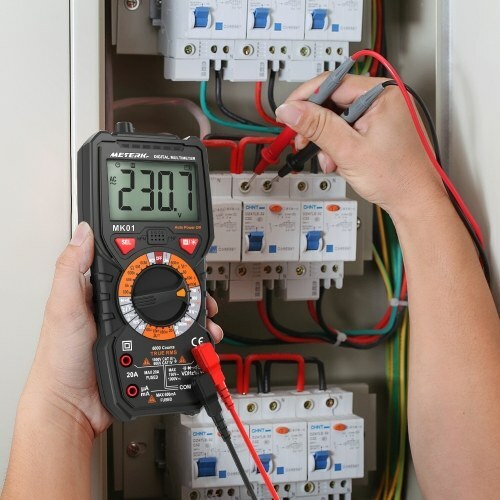 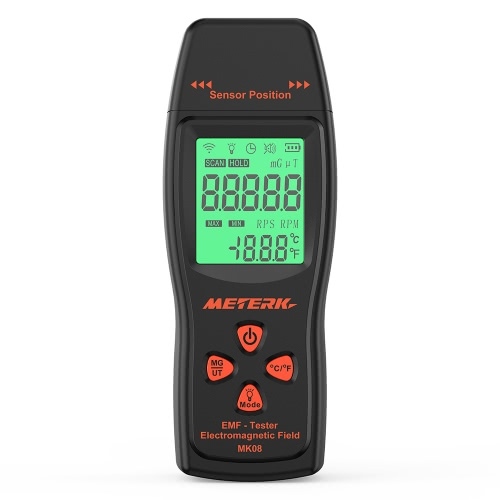 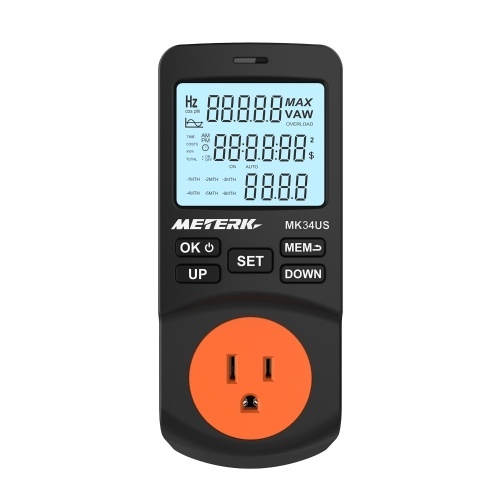 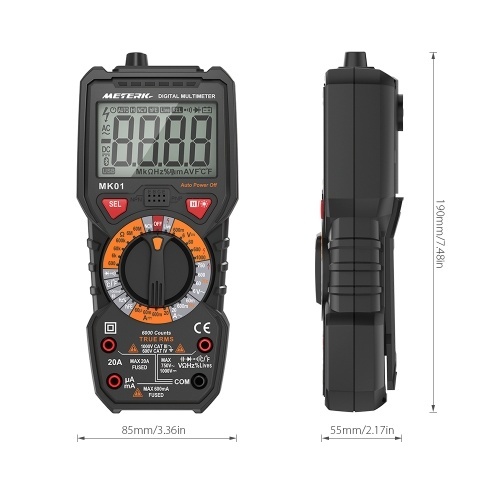 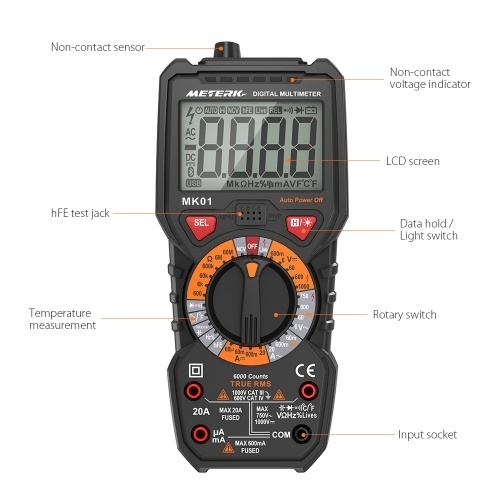 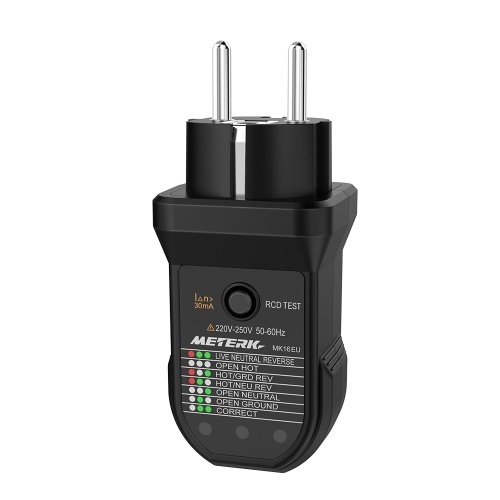 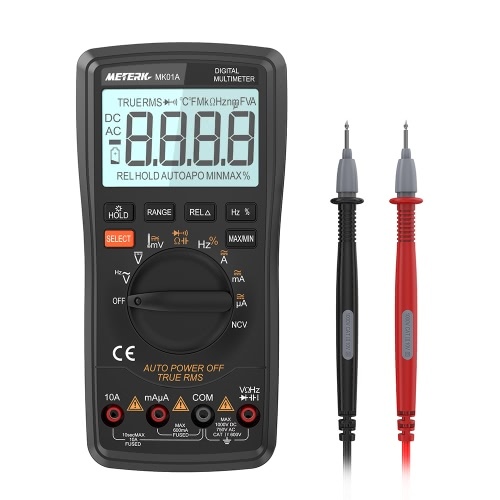 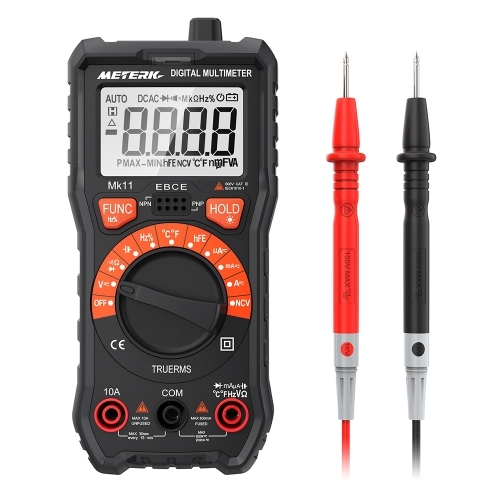 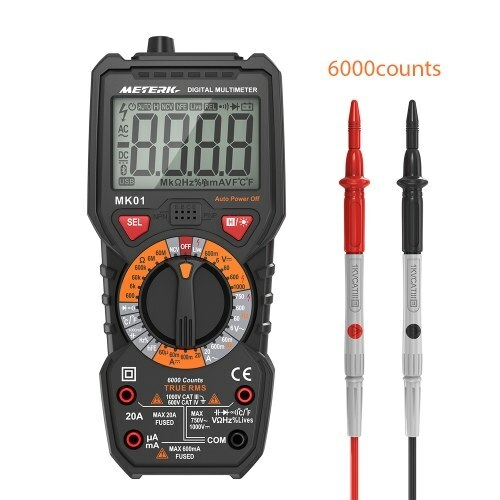 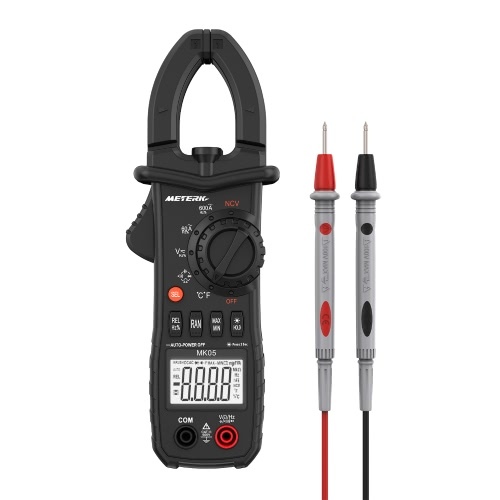 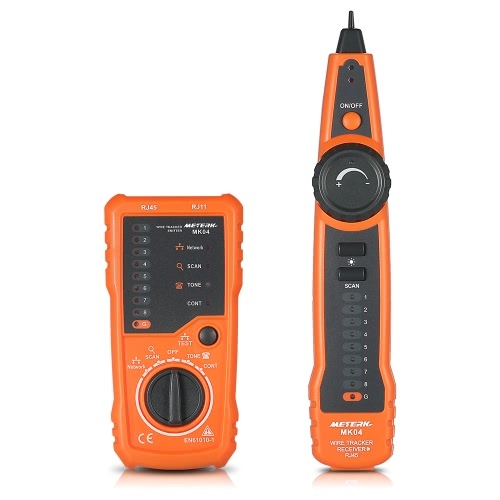 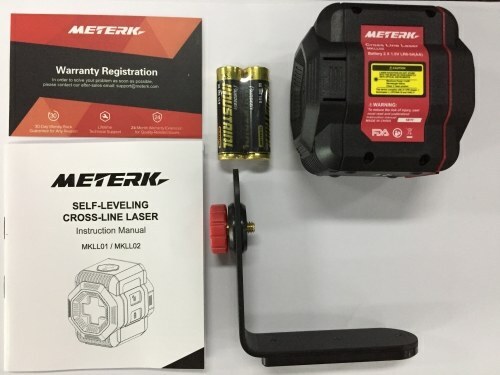 This brand new multi-functional multimeter with high precision and high performance can measure AC/DC voltage, current, resistance, capacitance, frequency, duty ratio. 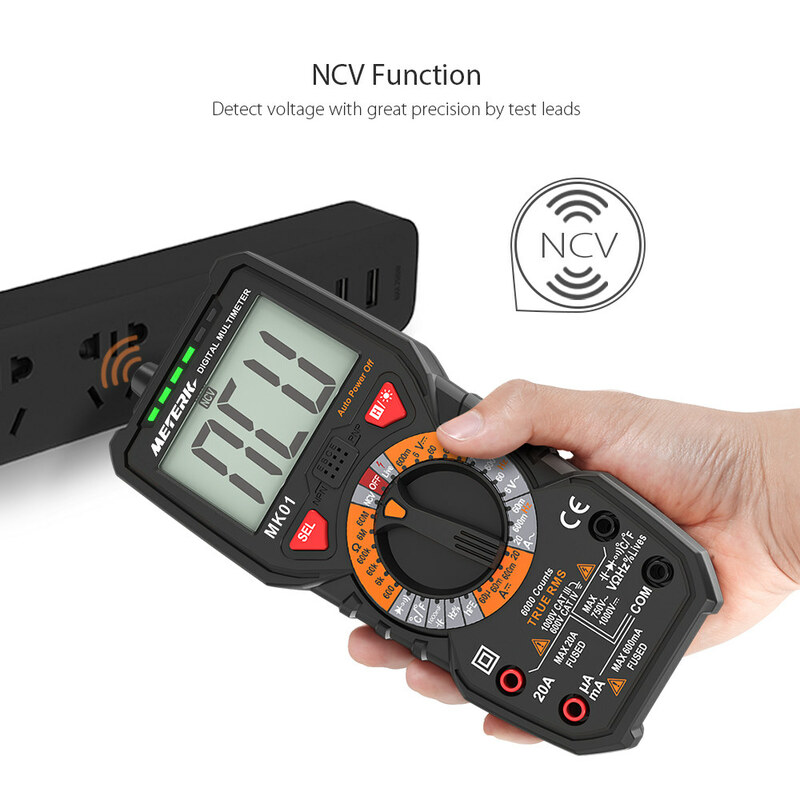 It also can test NCV(non-contact voltage), live line, diode, transistor, and continuity. 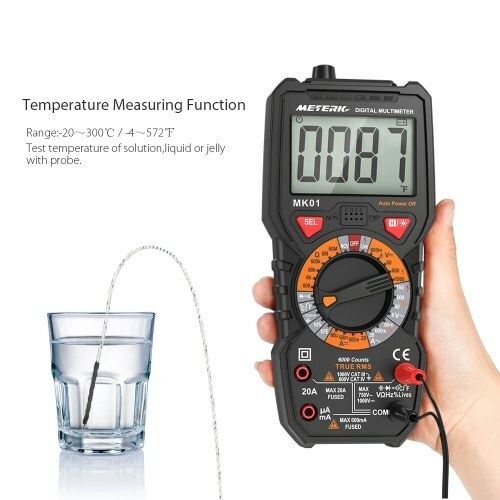 With a bracket on the back, convenient to place it on the table and read the values. 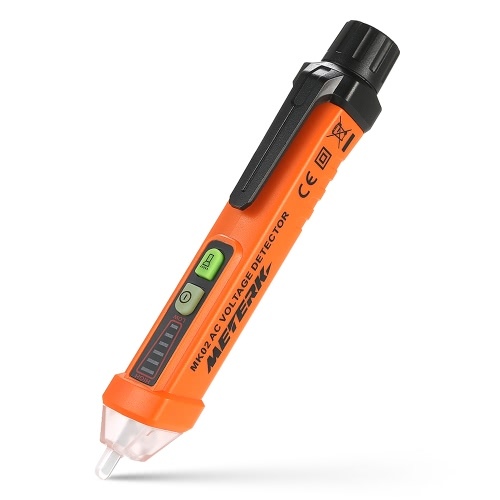 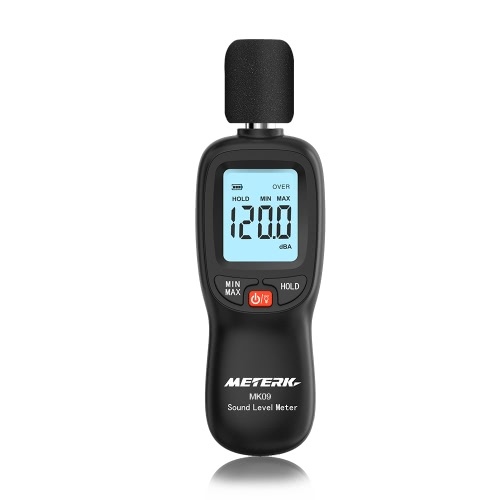 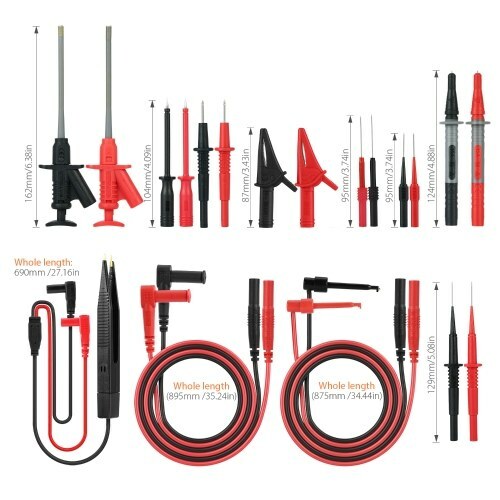 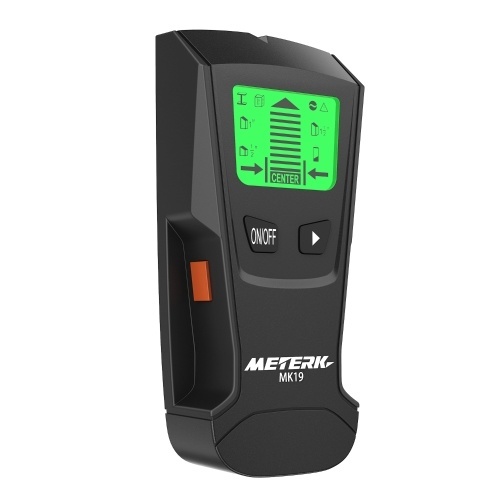 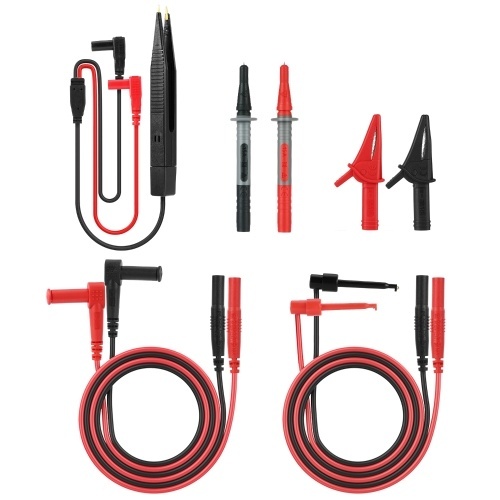 Specially designed with temperature measurement function. 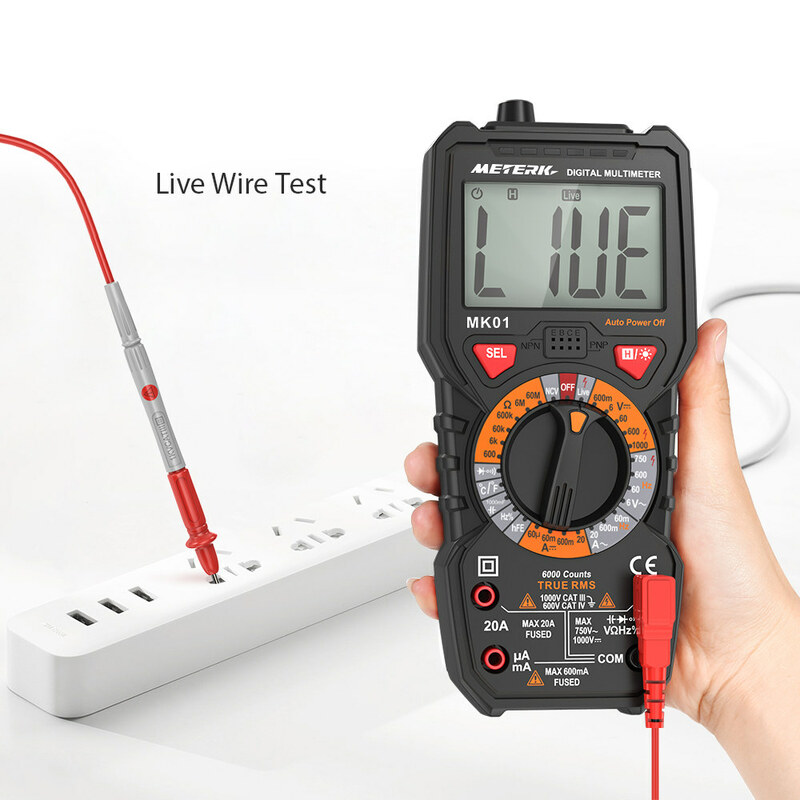 Also can test NCV(non-contact voltage), live line, diode, transistor, and continuity. 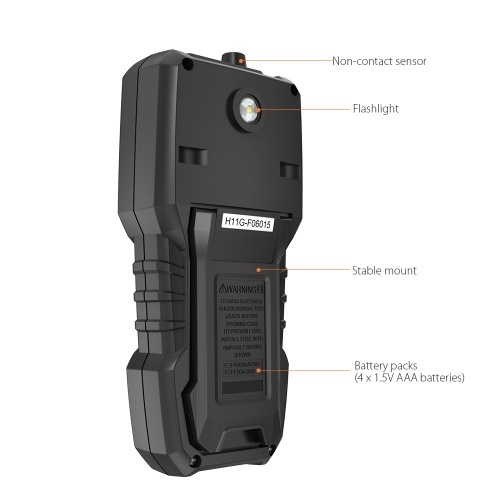 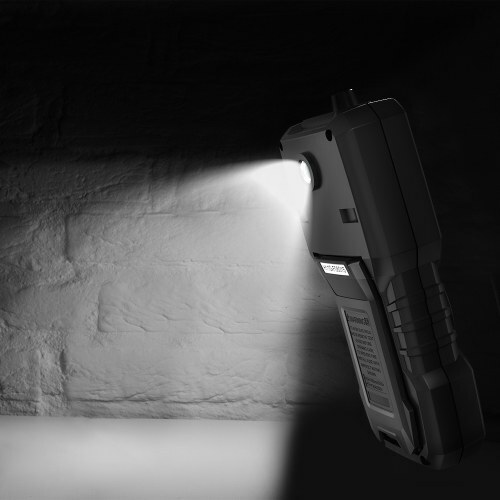 With signal intensity indication light: low, moderate, strong. 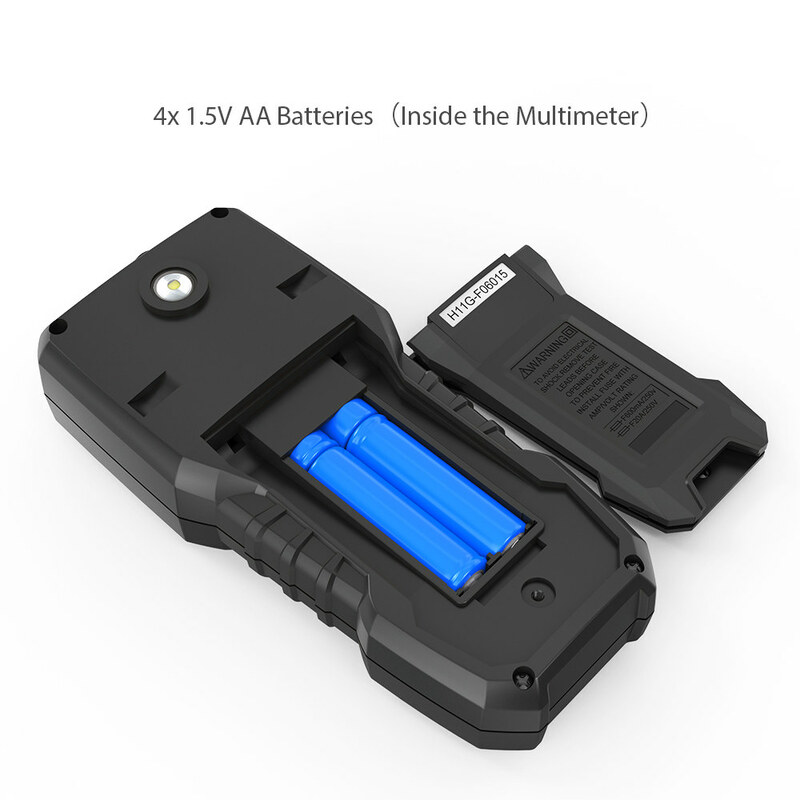 Powered by 4 batteries (Included).